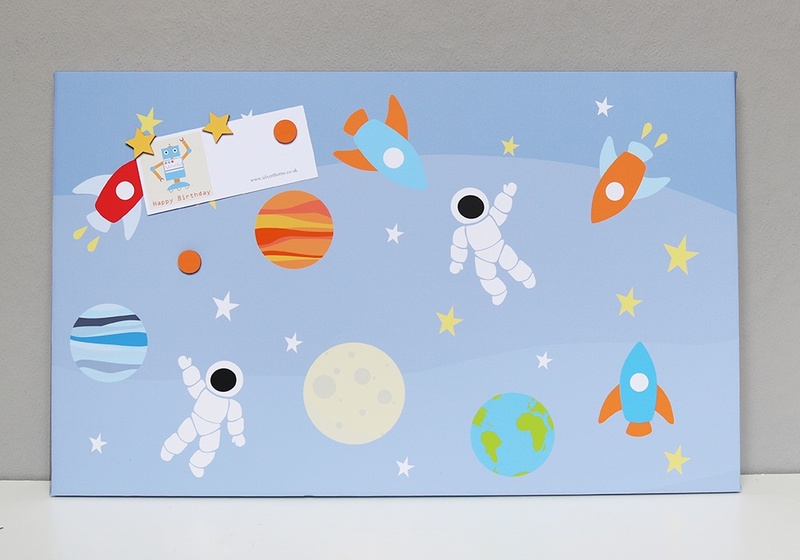 The Space Man board would make a great gift for those little aspiring astronaut's out there! It comes with 4 matching magnets and ready to hang on the wall. If more magnets are desired please see the 'Accessories and Extras' title.